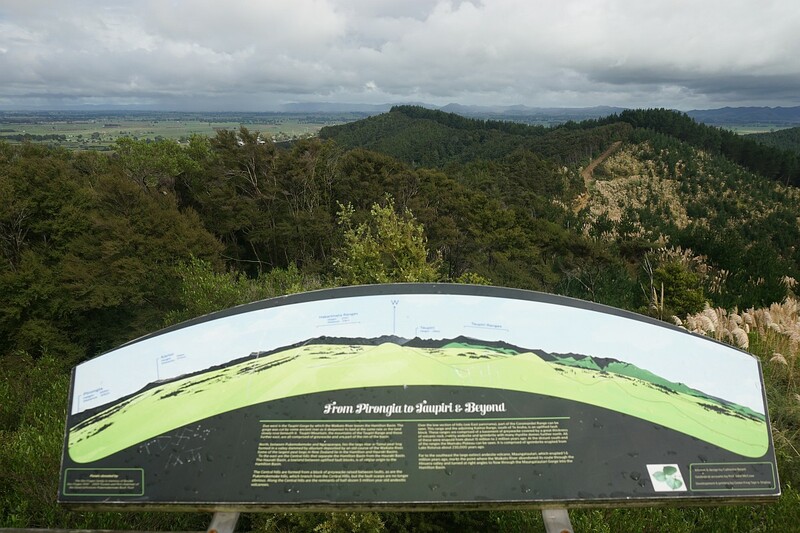 Pukemokemoke (hill alone) with a height of 166m above sea level is a peak within the 40-hectare Pukemokemoke Reserve, which is now surrounded by farmland and a quarry, but which was once surrounded by forested wetland. The reserve, previously part of Orini Downs Station, was gifted to the nation by David Johnstone who was one of the major shareholders in the Station. 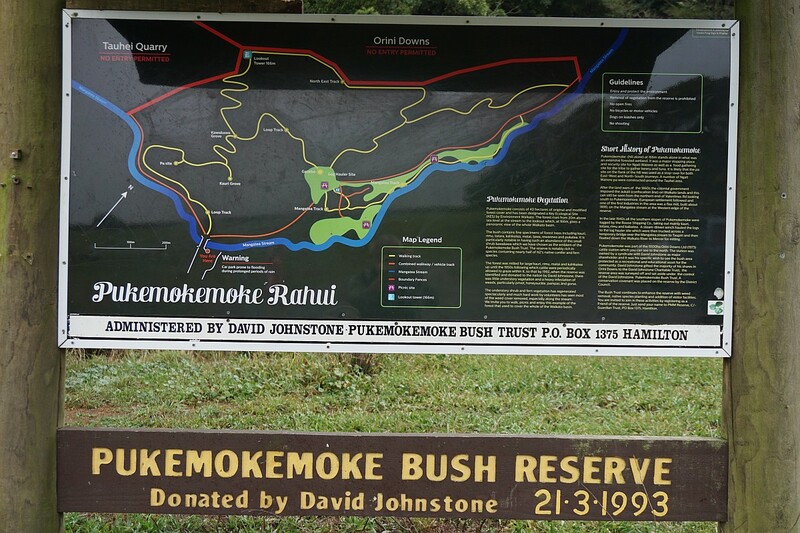 The reserve, which has a conservation covenant placed on it, is now under the control of the David Johnstone Pukemokemoke Bush Trust. It was set up specifically to protect the bush and provide a recreational and educational asset for the community. 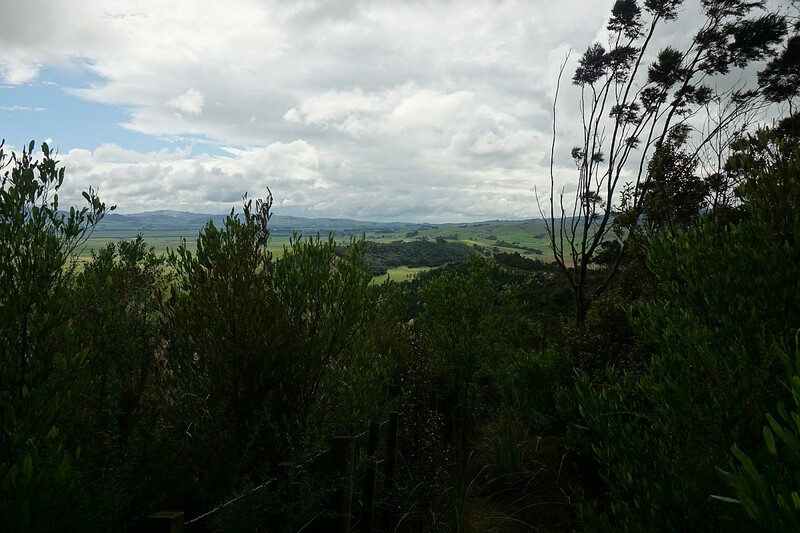 The reserve is located about 15 km north-west of Morrinsville and about 18 km east of Huntly. It is accessible down a right-of-way at 1382 Tauhei Rd. 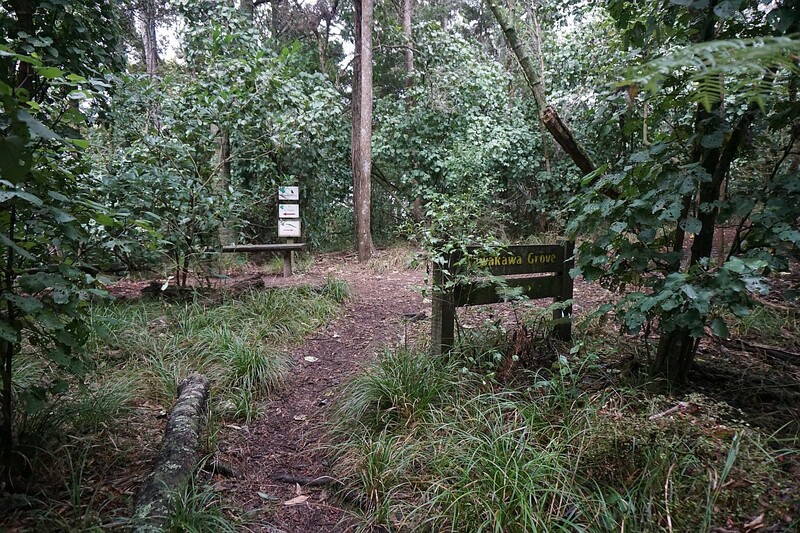 There is a carpark at the end of the right-of-way, by the entrance to the reserve. 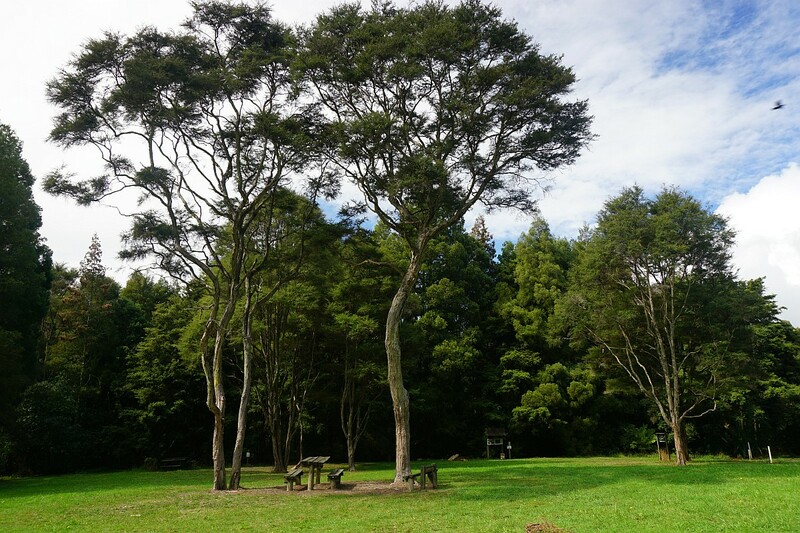 There are no facilities by the carpark, but basic toilet facilites are found at the log hauler site, and there are picnic tables at various locations in the reserve. A gazebo at the log hauler site provides a sheltered spot for a rest or a picnic. There are several tracks through the bush. Some are vehicle tracks as well as walking tracks. Others are steeper and narrower walking tracks. It is not possible to walk all the tracks without traversing some of them more than once. There is a lookout at the summit providing extensive views of the area. Information and identification is provided for many of the tree species. 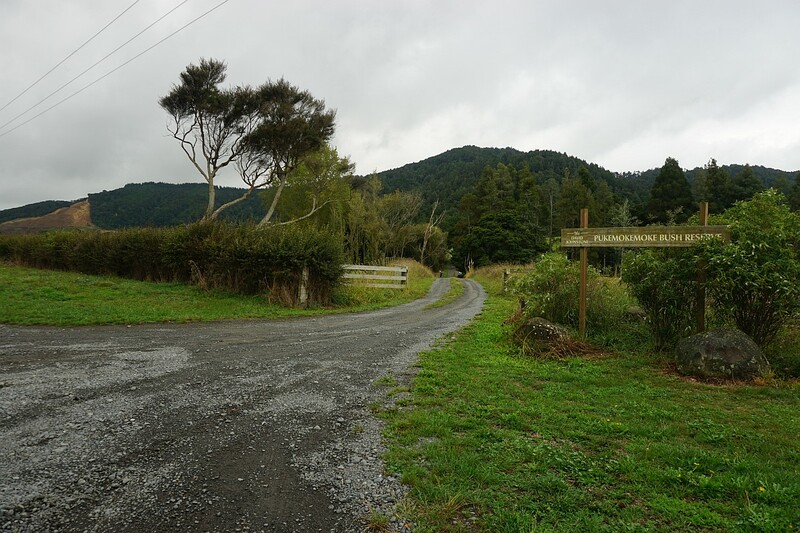 The entrance to the Pukemokemoke Reserve from Tauhei Rd. The summit can clearly be seen near the centre of the photo. The carpark, information panel, and entrance (the gate to the left of centre) to the reserve. The information panel by the carpark, with details of the tracks and the sites of interest. The bridge by the entrance crosses the Mangatea Stream. 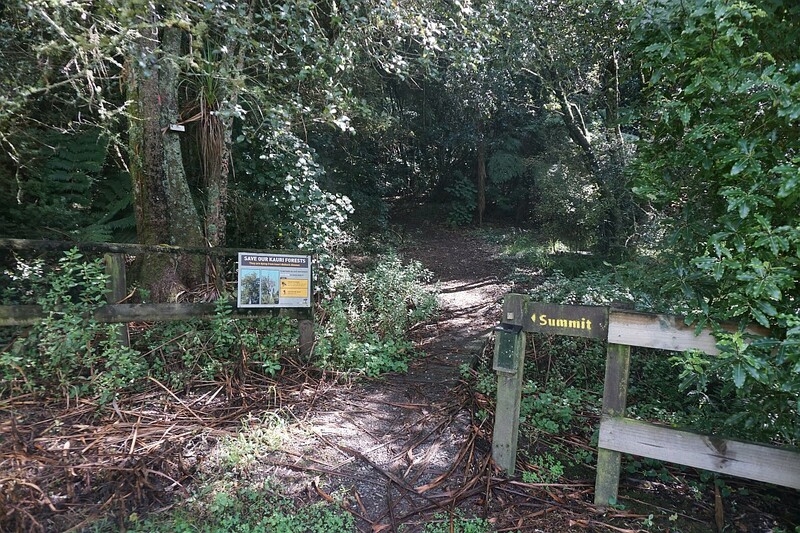 The start of the loop track leading to the kauri grove and the summit in a clockwise direction. 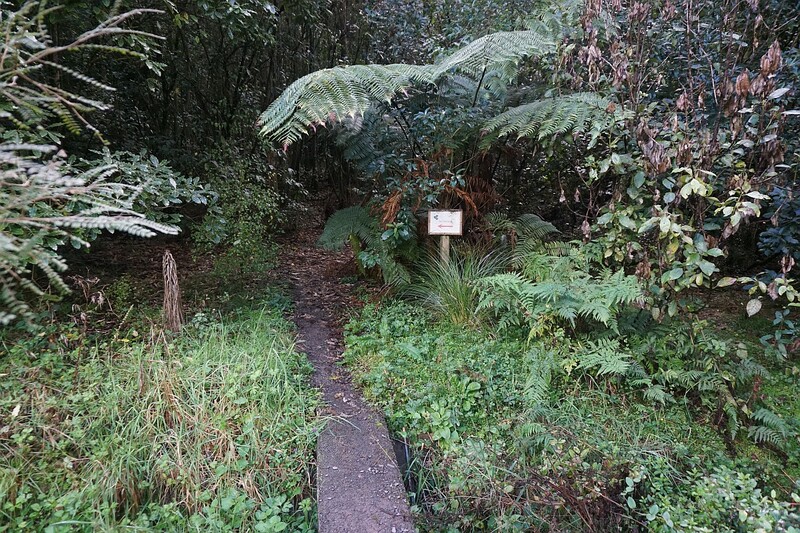 The alternative anticlockwise loop track starts at the log hauler site, a short walk along the vehicle/walking track to the right by the entrance. 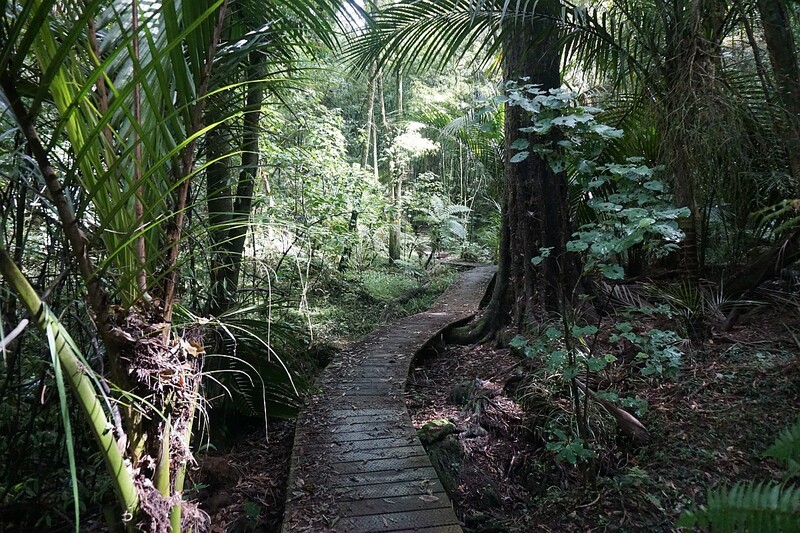 The walking track follows the stream for some distance before starting the climb to the kauri grove and the summit. 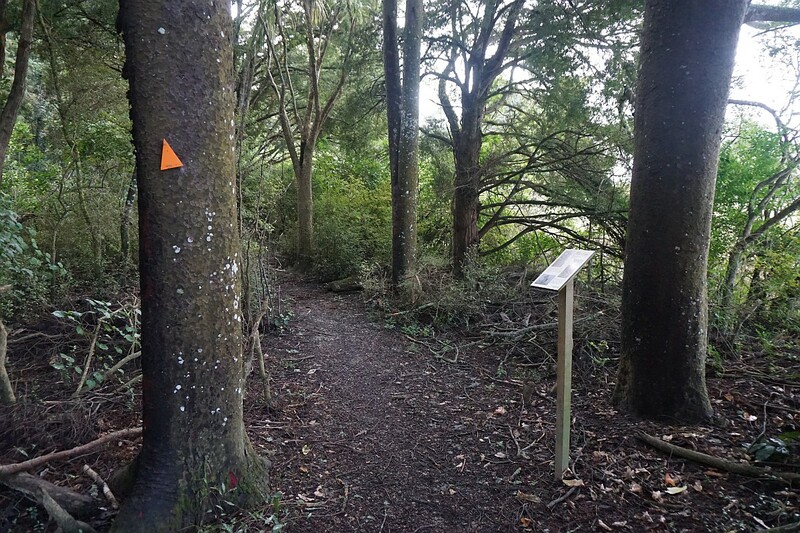 Pads with disinfectant to prevent the spread of kauri dieback disease are located on the track, both below and above the kauri grove. The various areas are well signposted. Here the kanuka canopy area. 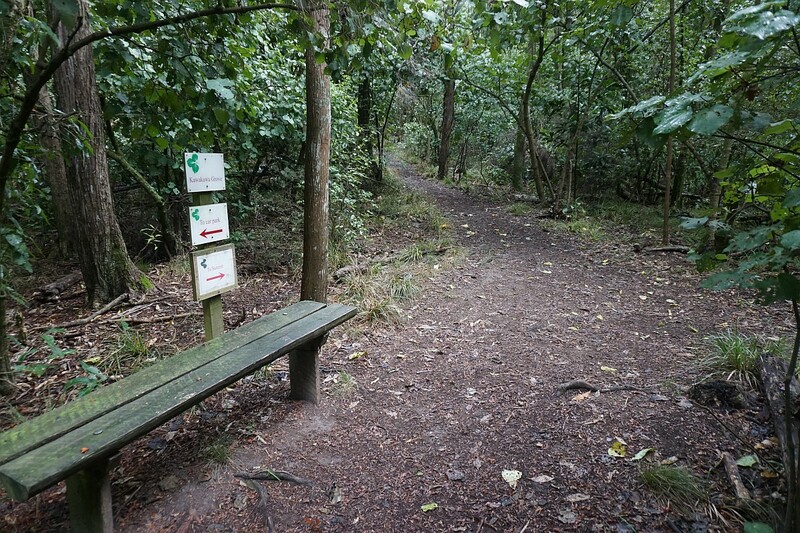 The kauri grove is found along a short side track to the right. 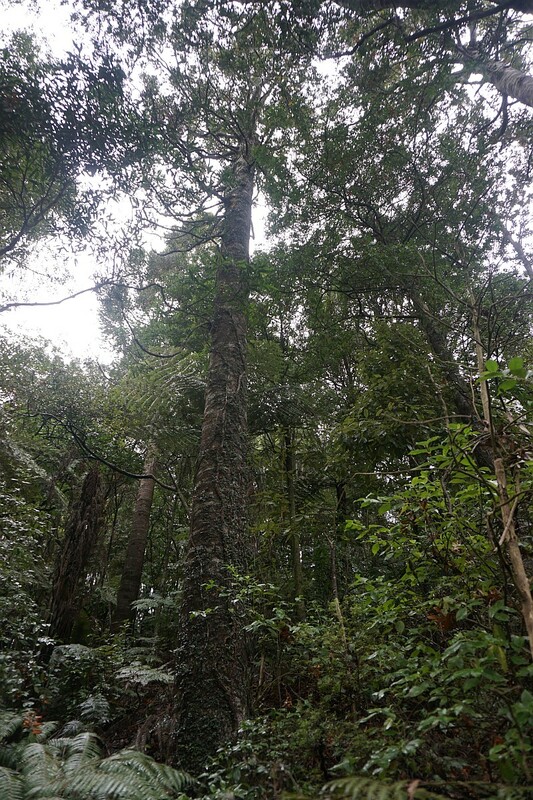 One of the largest kauri trees in the grove. The track zig-zags its way to the top. 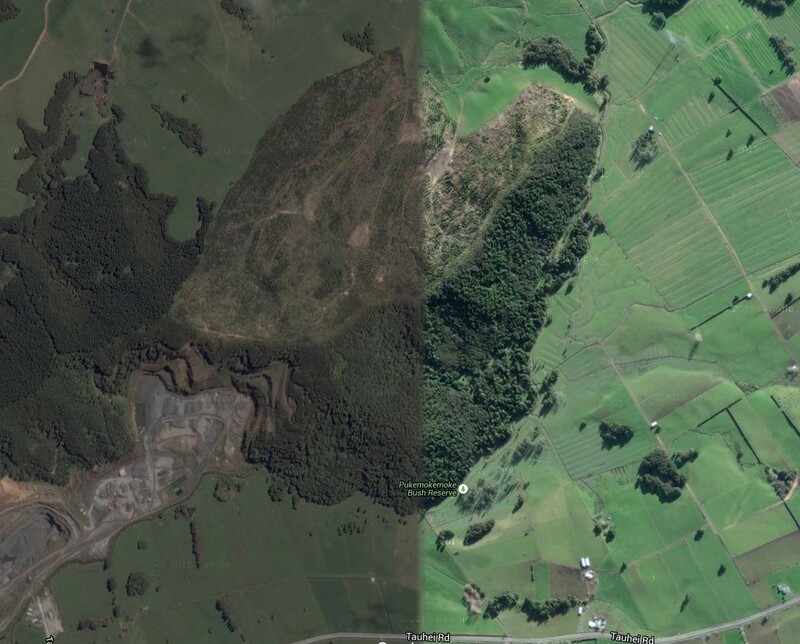 Here is the totara turn, with the stringy-barked totara at picture centre. 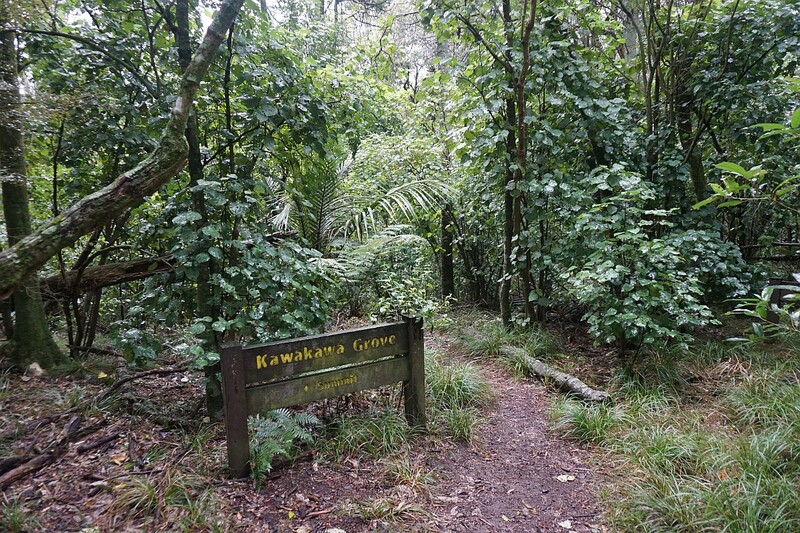 The kawakawa grove is at the intersection of the loop track and the track to the summit. The loop track down to the log hauler site is on the right, the track to the summit straight ahead. 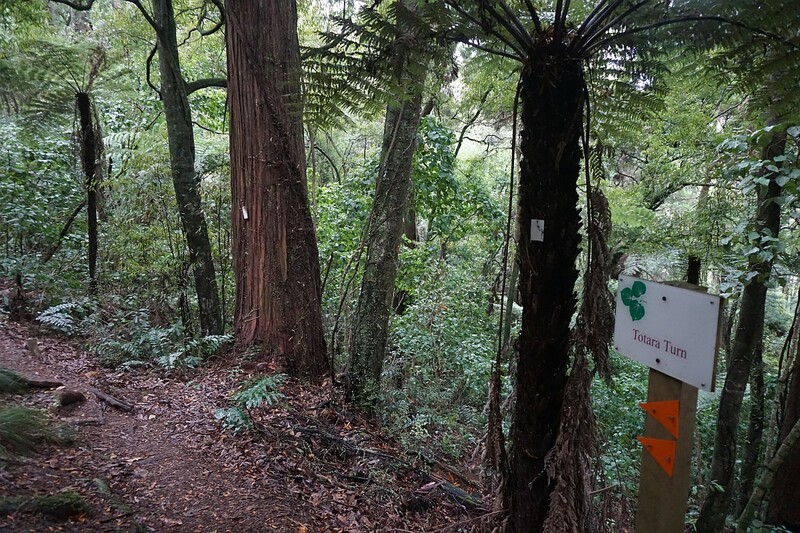 Looking down the loop track down to the log hauler site from the kawakawa grove. 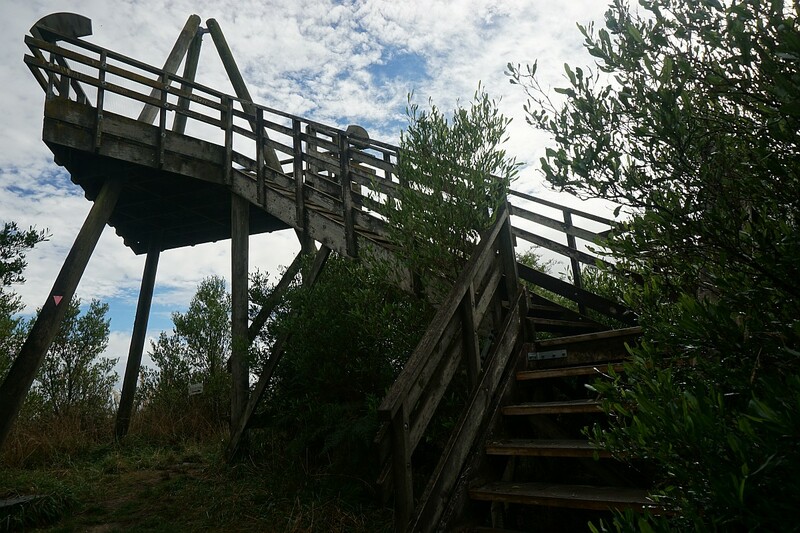 The viewing tower at the summit. 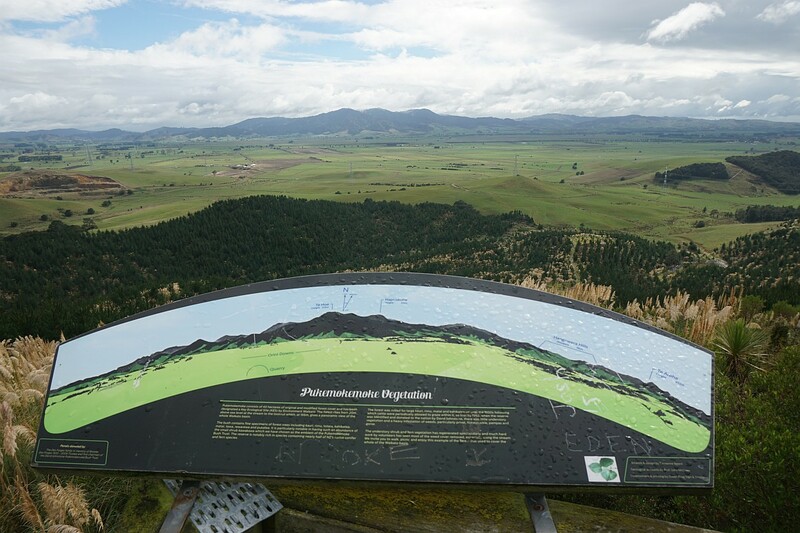 Information panels are provided on the viewing tower, with details of the history of the site, the history of the surrounding area, the location of visible peaks and places of interest, and details of the vegetation. Here looking towards the north. Unfortunately some people just have to spoil it for others by defacing the panels. 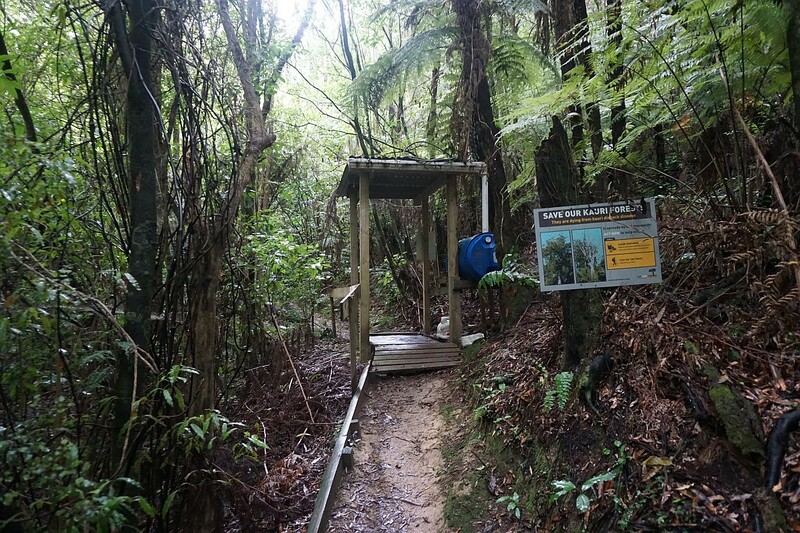 The north-east track from the summit follows the boundary to Orini Downs Station and a pine plantation for some distance, through pampas grass and gorse, before dropping down into the bush area again. 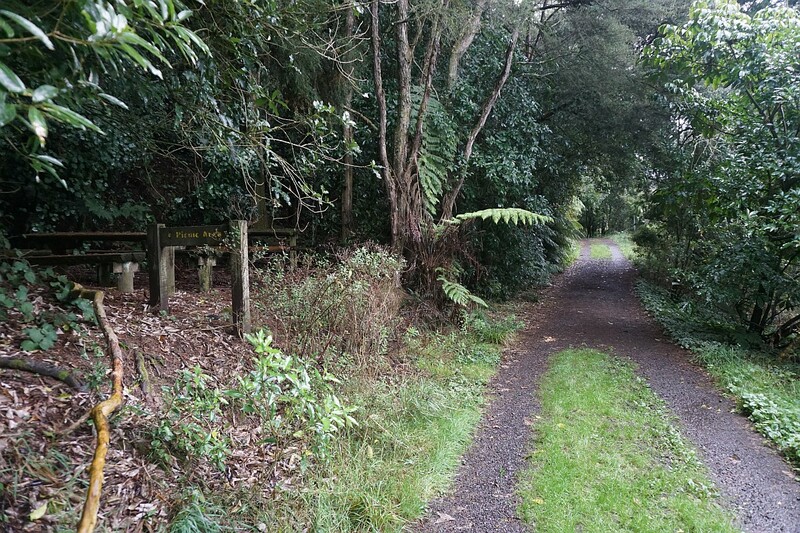 The junction on the north-east track, with the right leading directly to the log hauler site, and the track to the left leading to the north-eastern end of the reserve, from where the Mangatea Track or the vehicle-walking track lead to the log hauler site. 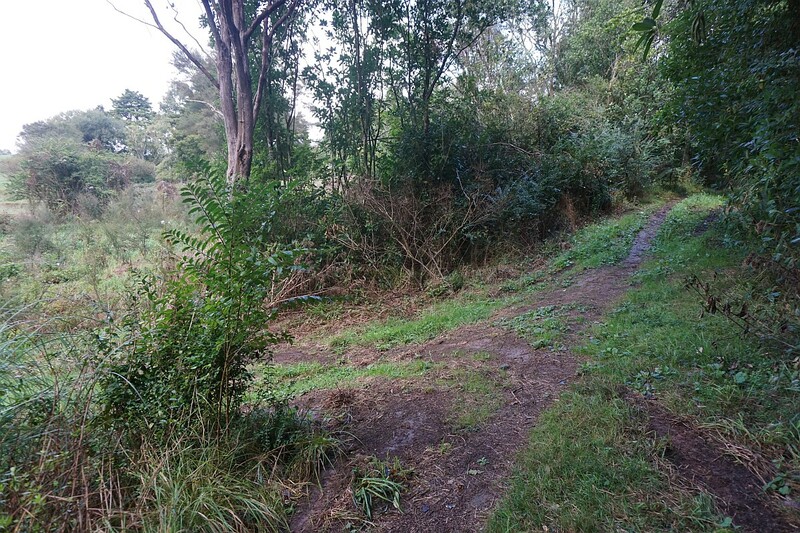 The north-eastern end of Mangatea Track is not marked. It branches off the vehicle/walking track to the left. 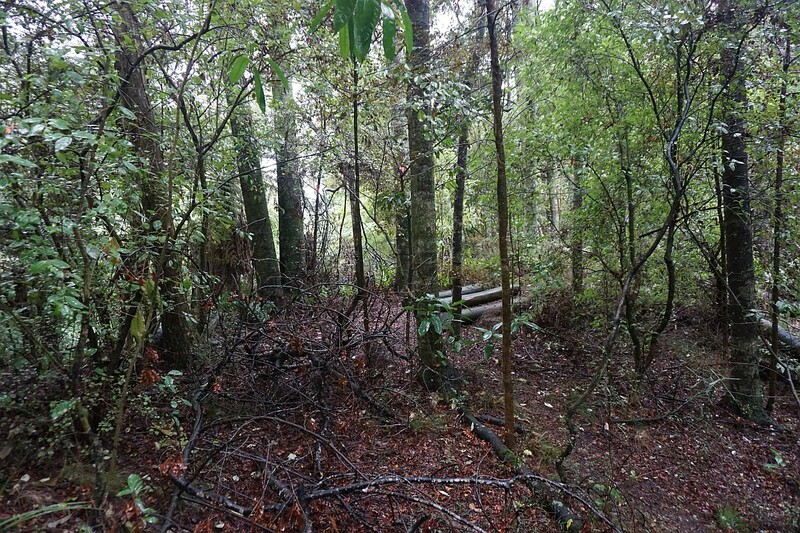 There are several small clearings branching off the Mangatea Track. Some, such as this kanuka clearing on the far side of Ecoquest Bridge, have been planted. 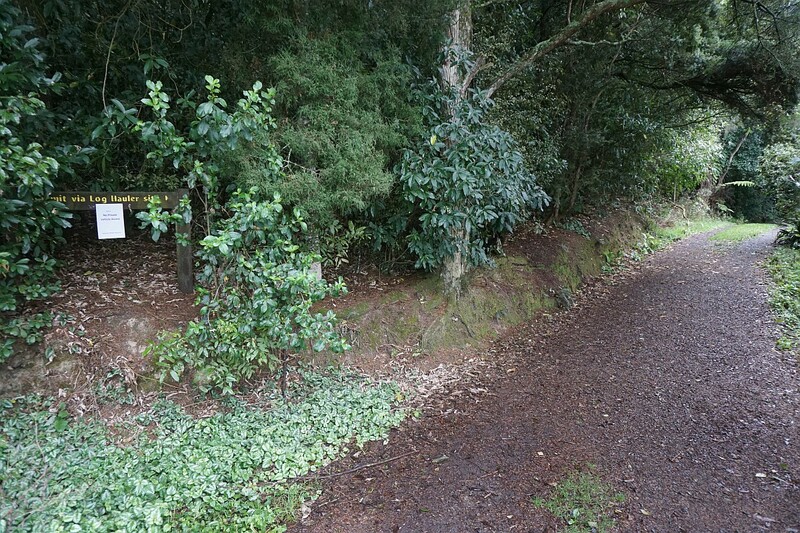 Two large matai trees on either side of the Mangatea Track. Information about the matai trees is provide don the panel. 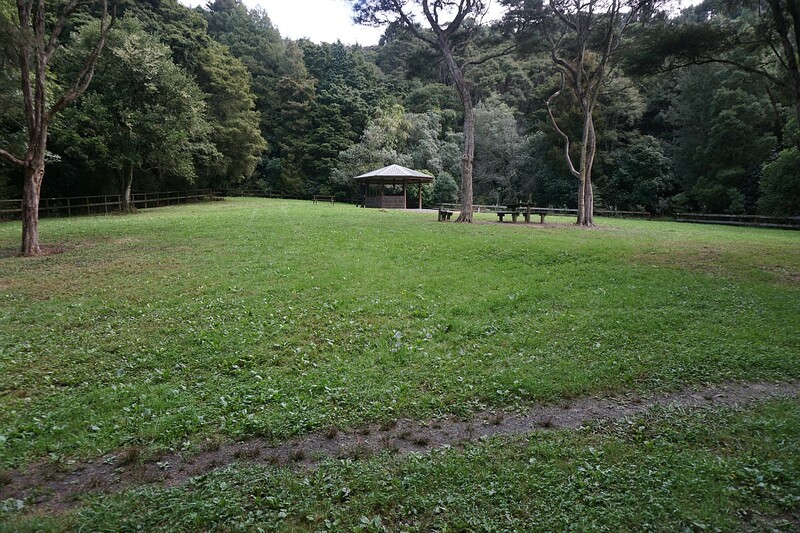 The log hauler site with the gazebo and picnic benches between two large kanuka trees. 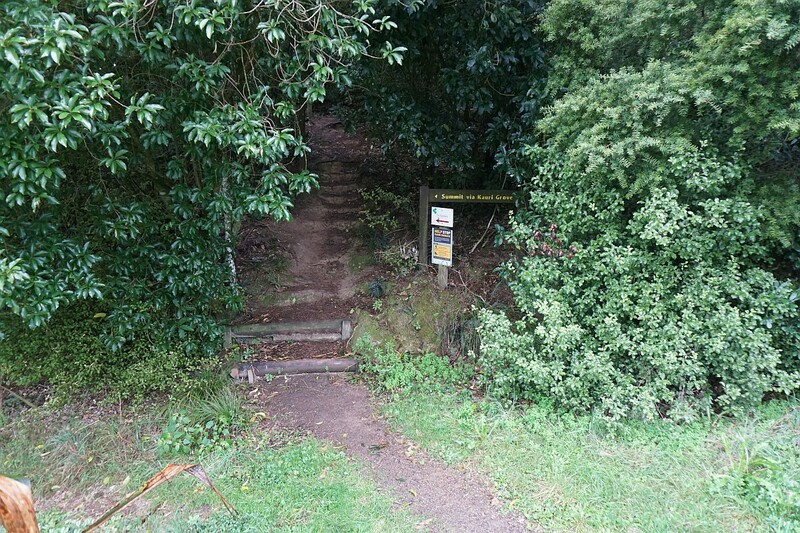 The start of the track leading to the north-east track to the summit. The start of the loop track to the summit, taking the loop in an anticlockwise direction. Boardwalks cross some of the swampy areas, and protect some of the tree roots. 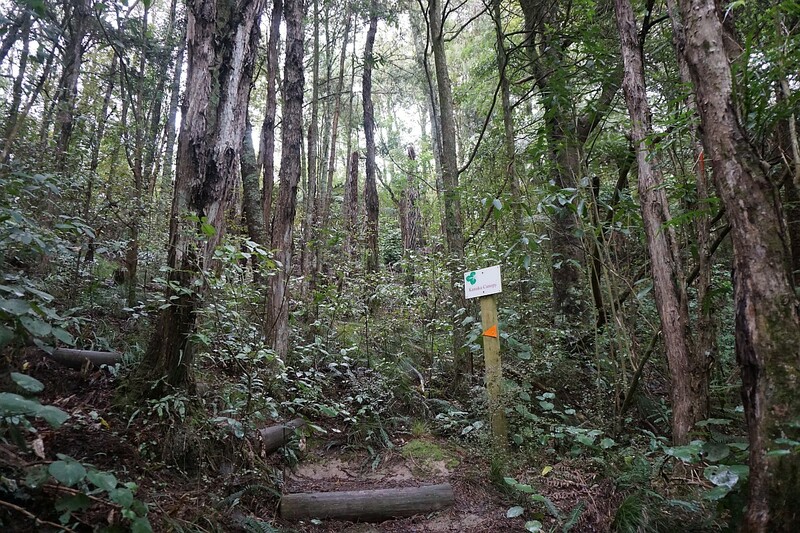 Back at the kawakawa grove after climbing the loop track from the log hauler site. 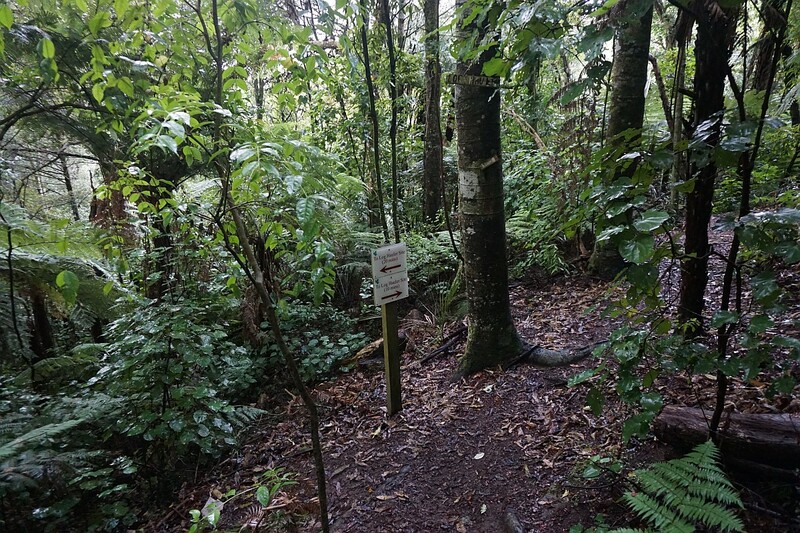 The pa site shown on the information panels is apparently not marked, but this appears to be the site below the kauri grove. A picnic spot by the vehicle track between the entrance and the log hauler site does not appear to be used very often. It is overgrown with moss. 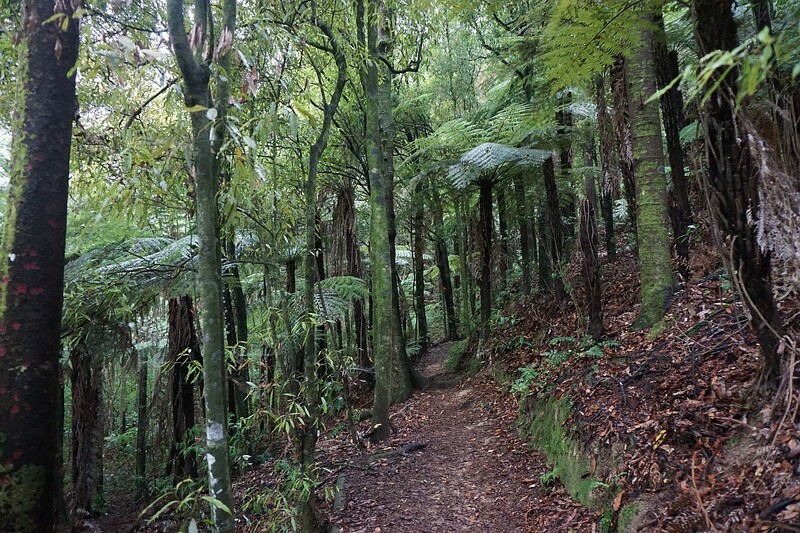 There was birdsong during most of the walk, with fantail, wood pigeon, tui, and several others making themselves known. 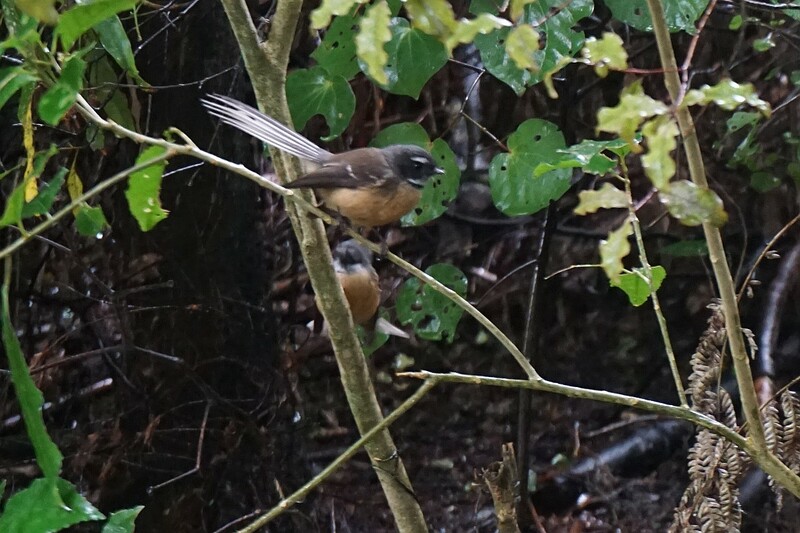 Here a couple of fantail which are not known for sitting still more than one or two seconds at a time. Carpark to summit via loop track clockwise: 1.2 km, 30 minutes. 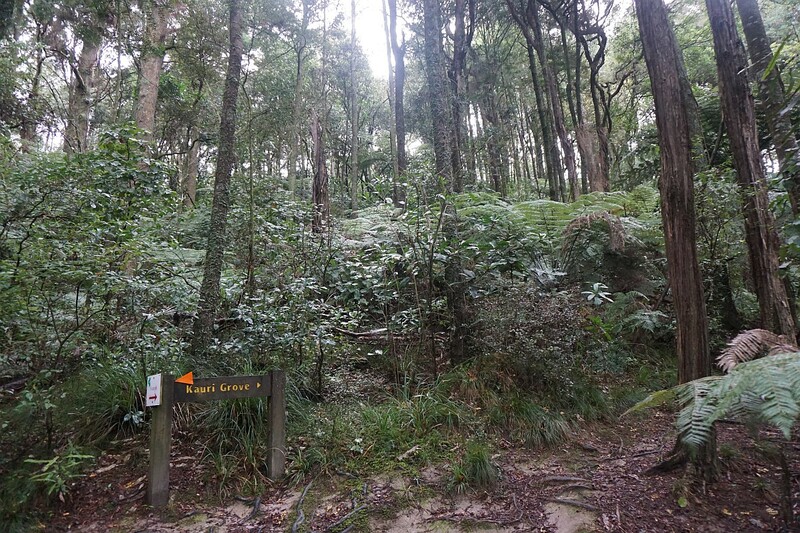 Summit to north-east point via N-E Track: 1.1 km, 25 minutes. 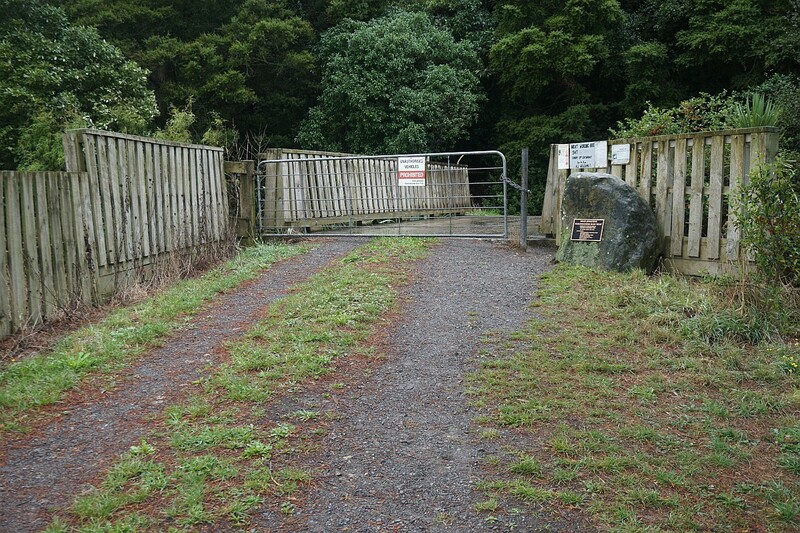 North-east point to hauler site via Mangatea Track: 1.1 km, 25 minutes. Hauler site to North-East Track: 275 m, 10 minutes. 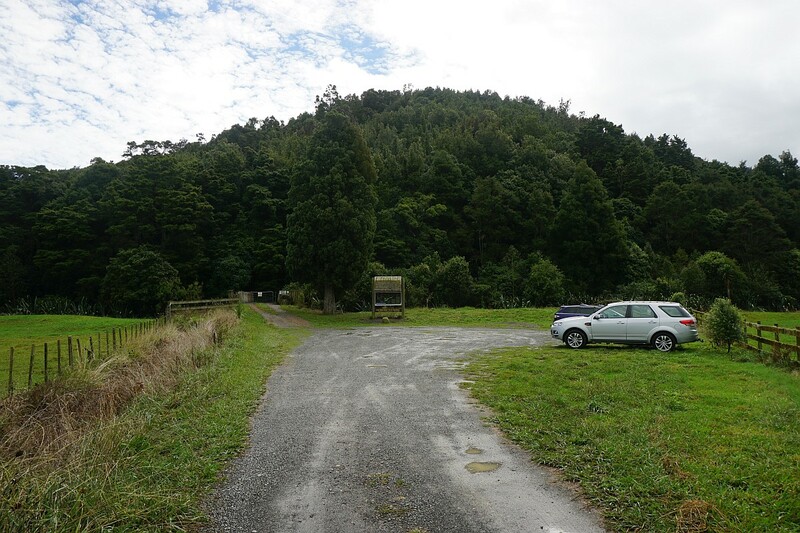 Hauler site to kawakawa grove: 415 m, 10 minutes. 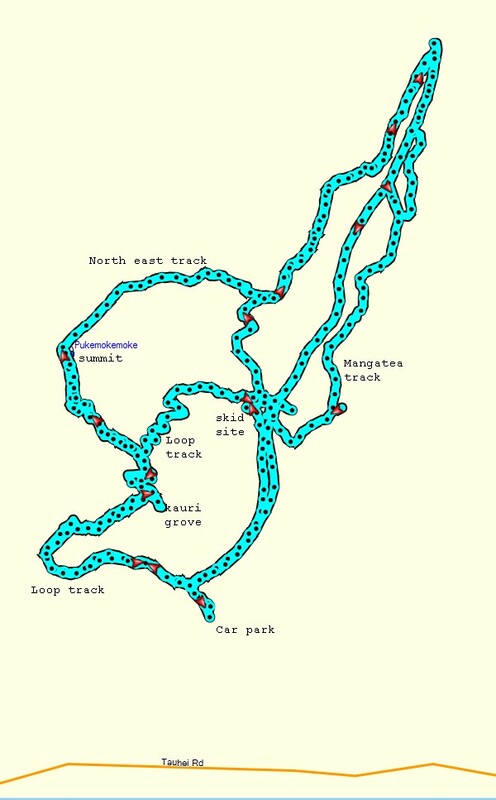 Hauler site to summit via loop track: 700m, 16 minutes. Hauler site to carpark: 480 m, 6 minutes. Lowest elevation at the carpark about 35 metres, summit at 166 metres. 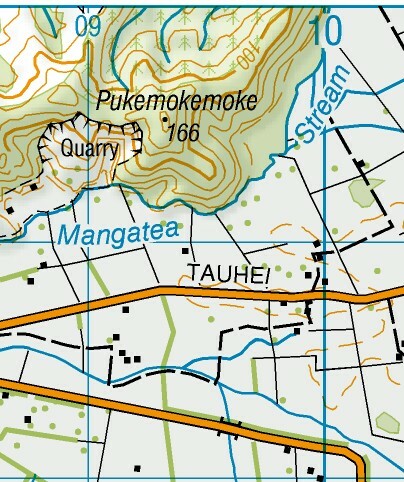 The topographic map shows the topography of the reserve. A satellite image of the reserve, taken from Google Maps. The tracks were walked on April 3, 2016. 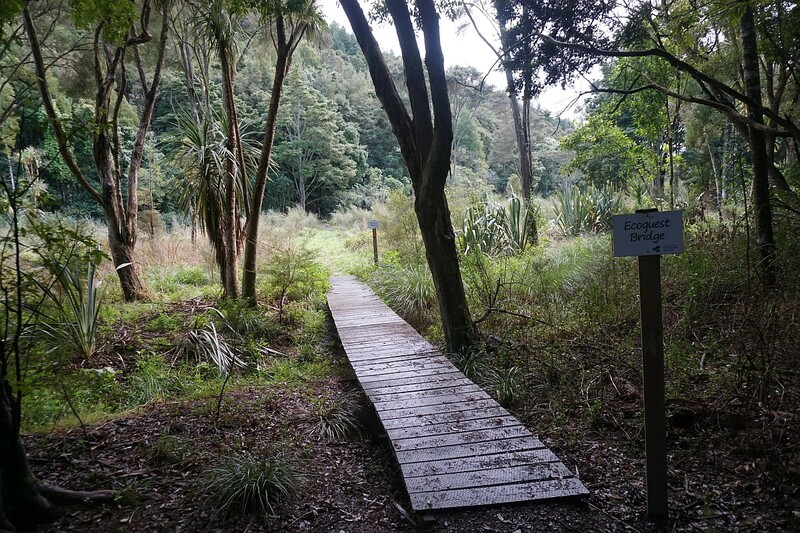 This entry was posted in Walks and tagged Morrinsville, Orini Downs, Pukemokemoke, Tauhei on 2016-04-04 by nzartig.